Outfitting an entire home can be a costly endeavor—but beautiful, trendy furniture doesn’t have to be expensive. Thanks to the rise of online shopping, you can furnish your home from the comfort of your living room, and save money to boot. Plus, if you’re someone who likes to stay up-to-date on the latest home decor trends, affordable furniture can give you more flexibility to swap out pieces and update your style from time to time. We understand just how stressful buying furniture can be, especially if it’s a stretch for your budget. Before you shop, take a look at these great low-cost furniture retailers that can save you money without sacrificing style. From sofas to dressers and everything in between, you can easily outfit every single room in your home by shopping on Amazon. This retail giant should be one your first stops in a search for budget-friendly furniture. Amazon offers a wide selection of on-trend styles like affordable mid-century couches and beautiful velvet tufted beds. If you’ve found a piece at a different retailer, but it’s out of your budget, you can probably find a similar version for much less on Amazon. Most products are also Prime eligible, so you can get your stuff fast and, for an additional fee, you can even have your furniture assembled at home. Amazon’s massive network of reviewers takes the uncertainty out of ordering furniture online. Also, its customer service is some of the best out there. World Market is a great place for unique, eclectic home decor at a low price. From bohemian bamboo light fixtures to chic wicker outdoor furniture, World Market has a wide selection of styles that will give your home a unique flair or a pop of color. For example, you can find teak wood coffee tables for under $300 and stylish dining sets for less than $500. World Market often offers discounts on its furniture selection as well, giving you more money to spend on fun accessories or artwork. If you live close to one of its 275 brick-and-mortar stores, you can test most of the furniture found online and even pick it up the same day. Otherwise, expect a small delivery charge for most pieces. If you’re hunting for affordable furniture that’s a little outside the box, you can’t go wrong with World Market. The rise of Target collaborations with names like Magnolia, Oh Joy, and Nate Berkus prove this big-name retailer is vying to be your first and only stop for everything home decor. Target’s selection is robust and affordable, starting at $15 for living room furniture and offering free shipping on orders over $35. Plus, there are no handling fees on any of its items, and you can opt for free in-store pickup. It's a great choice for basics like simple futons (perfect for a college student) as well as upgrades like gold-accented bar tables and tufted armchairs. Target’s easy-to-navigate website allows you to sort by price and style and see all of the new arrivals in one place. Whether you want to upgrade a few pieces or you’re planning on a total retail binge, you can always find some furniture gems at Target. Similar to World Market with its unique, eclectic offerings, Pier 1 Imports has been a popular place to find affordable furniture since the 1960s. Though you can still find the Papasan chairs you may remember from your childhood here, Pier 1’s furniture selection offers many modern, contemporary styles on top of its well-known boho chic looks. Most furniture starts at $250 and comes with free in-store pickup or shipping for a low additional cost, depending on how large the item is. Pier 1 is a great choice if you want to test your furniture out in person before you buy it. With over 1,000 standalone retail stores around the country, it’s a convenient online or brick-and-mortar option. Walmart may not be your first thought when it comes to furniture, but if you’re looking for a wide selection of basics on a budget, it should be. You can choose to pick up your purchase in-store, saving you time and money, though don’t expect to find every piece in stock or on display. Prices start at under $200 for a sofa and less than $50 for bedroom furniture. Walmart also sells a great selection of kids’ room furniture featuring some of the most popular cartoons on the air, like "Paw Patrol." Walmart’s website also offers has a robust review network, helping you narrow down pros and cons for every piece. No list of affordable furniture would be complete without IKEA. This Swedish retailer is a go-to whether you’re furnishing a first apartment or a 3,000-square-foot home. IKEA saves you money by selling only ready-to-assemble pieces. They are notorious for their difficult-to-understand directions but so worth the effort. 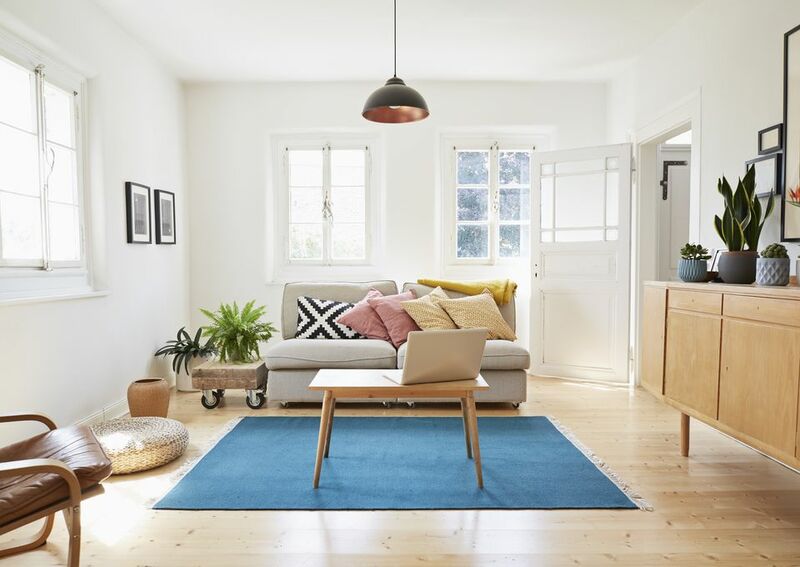 Whether you visit one of its massive brick-and-mortar locations or shop online, expect to find Scandinavian styles that will give your home that coveted hygge feel at a price that won’t hurt your wallet. IKEA also introduces new furniture lines every season, so you’ll always find something new to add to your home. From adorable nursery furniture to entire living room sets, IKEA is a great place to shop for budget-conscious furniture. Though some of its very low-cost items are at a lower quality than what you’ll find from other retailers, it’s a great choice for anyone who doesn’t want to commit to a single style for years and years. Starting at under $20 for accent pieces, Wayfair has virtually endless options for every room in your house. This online-only retailer is known for closeout prices on a wide variety of styles and looks, allowing you to decorate your kids’ room and your kitchen in one fell swoop. Most items come with totally free one- or two-day shipping, and you can also have them assembled for a small fee. The company’s customer reviews are typically extensive, giving you a taste of what you’re buying before you commit to a big purchase. Wayfair is a great place to shop for everything from couches to beds and provides a wide variety of options for every taste. Contrary to its name, Overstock sells more than just closeout merchandise and furniture. Though you can find great deals on just about everything for your home, you’ll find a multitude of new styles as well. 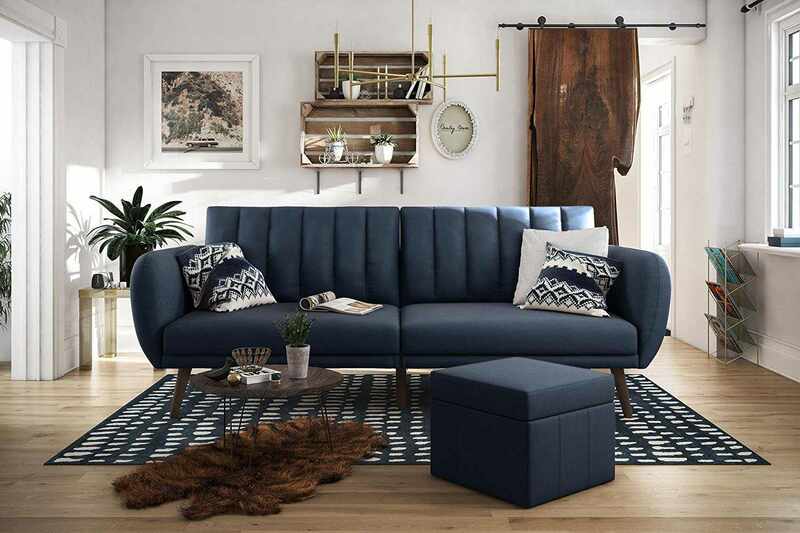 Offering a robust selection (think thousands of couches, end tables, mattresses and more), most of Overstock’s popular furniture pieces will run you less than $500. Here, you can find full kids’ bedroom sets for $400 and dining sets for less $300. Overstock is also known for its flash sales and coupons, so if you’re patient you can score an even better deal. Many of Overstock’s popular furniture pieces offer free shipping and come with a limited warranty against any defects.